There are fruits and veggies on that cake…. 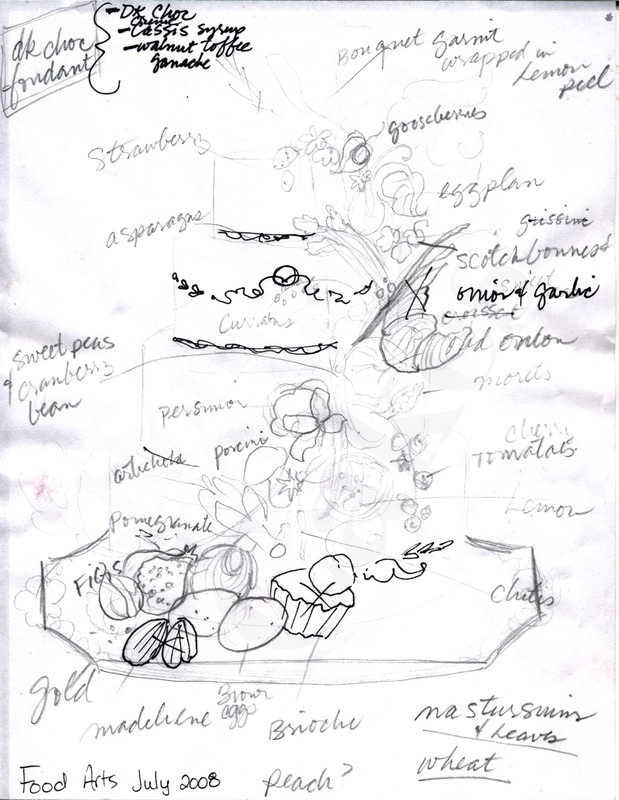 A few years ago Ron was asked to design a cake for Food Arts Magazine’s 25th Anniversary. The magazine wanted Ron’s take on “food & art”. So Ron decided to do his take on Dutch Still Life. This was the first time Ron had asked his crew to make fruits and veggies out of sugar. The staff really got into it and tried to make things look as real as possible. Ron's conception of Dutch Still Life in cake form. His inspiration on the left and the finished cake on the right. 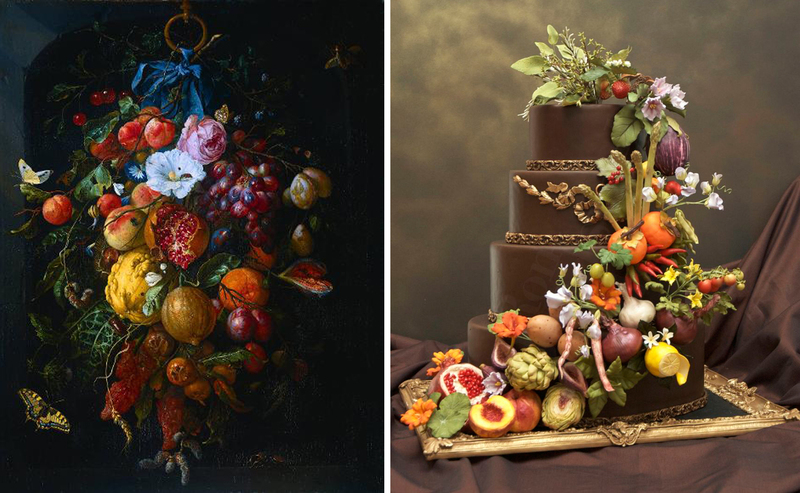 The cake board is a confectionary "gilded" frame that you would see on a real still life portrait. 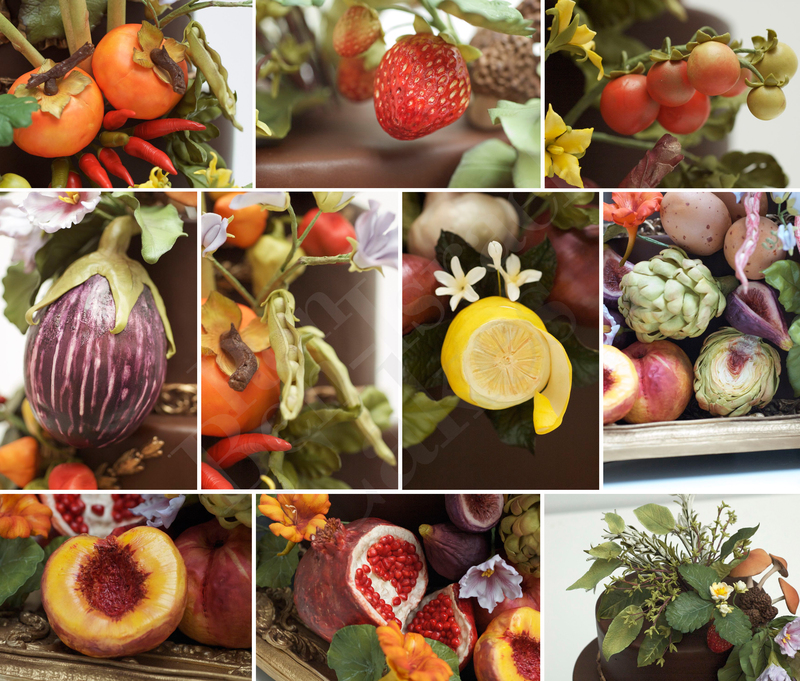 Close ups of the fruits and vegetables that were created out of sugar for the spiral cascade. This is incredible…so realistic! Lovely work!